Its been many a year since we last saw Harry Potter and his wizarding friends smashing up horcruxes while navigating the dating minefield of the Hogwarts Yule Ball. Yes, there’s the play but who – without a strong Accio spell – can get their hands on those tickets?! 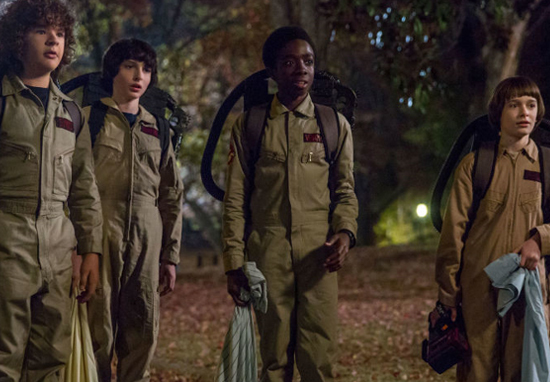 Luckily for us nerds, Stranger Things is filling the teens-saving-the-world-from-evil hole in our lives which has been gaping since *that* tear jerking epilogue. 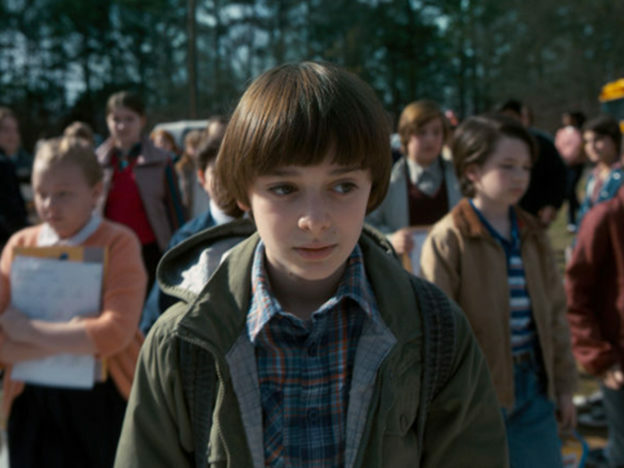 Stranger Things mirrors the Harry Potter series in that each season will start with a new school year for the kids, following them as they grow up and become inevitably more badass. 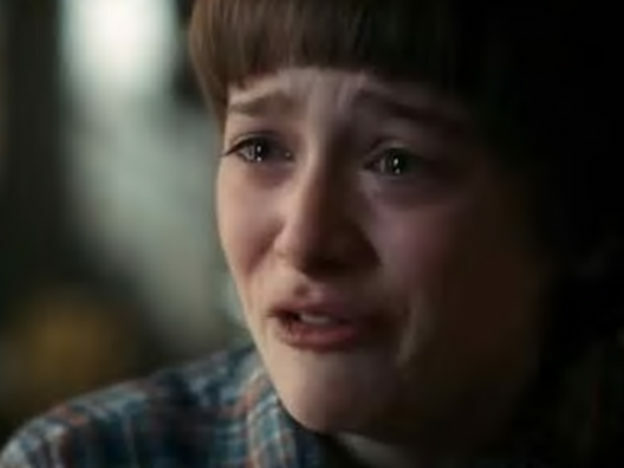 However, the starkest connection is between Will and Harry himself, who share much more than just an appreciation for a good bowl cut. 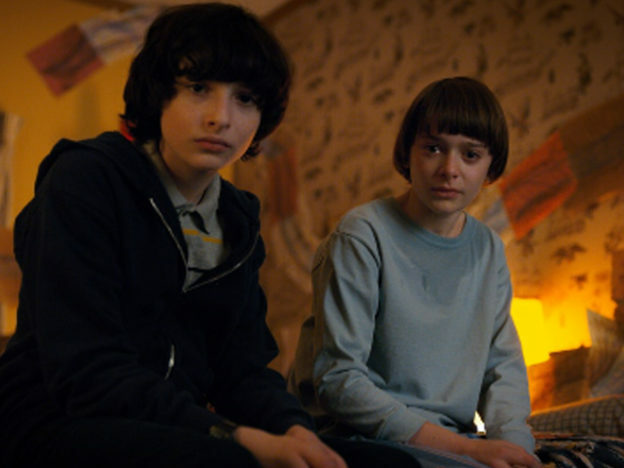 As you will undoubtedly recall, Will spent much of the last series in the dark world of the Upside Down being terrorized by the demogorgon. However, now Will has returned he isn’t quite the same as he was. Like Harry before him, he has been touched by evil forces which have left a very real imprint. Will appears to have gained new and intriguing powers during his ordeal, which Dustin likens to having ‘trusight’, a power used in the boy’s favourite game Dungeons and Dragons. Of course, in the Stranger Things universe we are still in 1984, long before that first fateful journey on the Hogwarts Express. However, had the reference-literate boys lived in a different time, they would undoubtedly have compared Will’s new abilities to those of The Boy Who Lived. Similar to the telepathic connection between Harry and Voldermort – physically visible through the iconic lightning bolt scar – Will shares an unwelcome bond with the equally dark Shadow Monster. Will has the discomforting experience of being able to read the Shadow Monster’s thoughts, as well as being able to see through its eyes. Frighteningly, this power goes both ways and the Shadow Monster has the potential to use Will in a similar way. We’re not going to have a new monster for the kids to deal with every season. Moving forward, there’s one clear tension. It’s like Voldemort in Harry Potter. Potterheads will note similarities with the Harry/Voldermort bond, where Harry is plagued with terrifying visions of Voldermort getting up to his dastardly tricks. The scar goes from being a source of physical and emotional pain – hurting when he is close to the Dark Lord as well as being a constant reminder of his parents’ murder – to being a vital plot point during Harry Potter and the Order of the Phoenix. Dumbledore himself was so worried Voldermort could be spying through Harry’s eyes, he avoided his favourite pupil for a while. Will is completely terrified about the Shadow Monster being able to watch and track him. However – much like Harry – he has a solid group of friends to offer him support while letting him know he is stronger than the Shadow Monster and it will all work out okay. In another striking similarity, Will’s buddies encourage him to use these unasked for powers to spy on the Shadow Monster, and report back to the rest of the gang. As many a former teenage geek will recall, once he recognises his abilities, Harry is able to use this dangerous power for good, reporting on Voldermort’s actions and whereabouts for the remainder of the book series. Before you binge an eight-hour session, catch up with all the action from the first season over here, and learn how Stranger Things might be based on a true story. One thing is for sure, Mike, Will, Dustin, Lucas – and of course Eleven – will remain in our imaginations just as long as Harry, Ron and Hermione have.